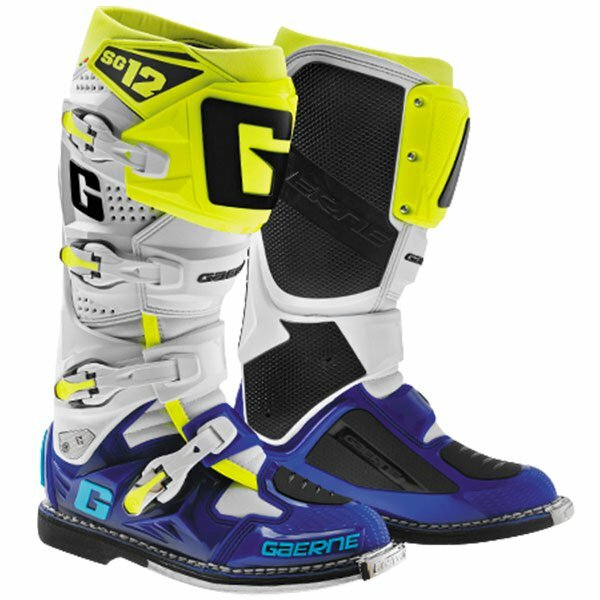 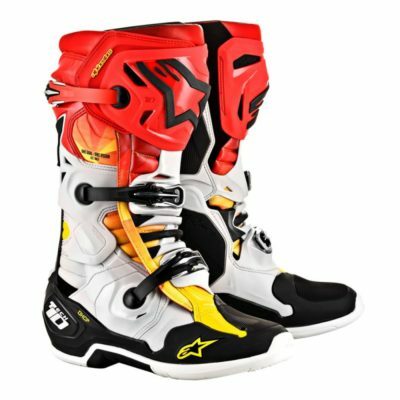 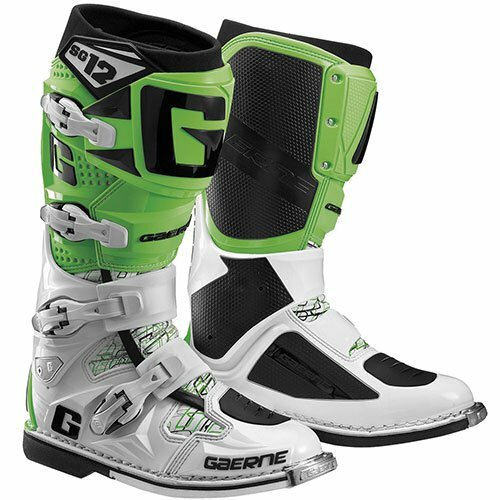 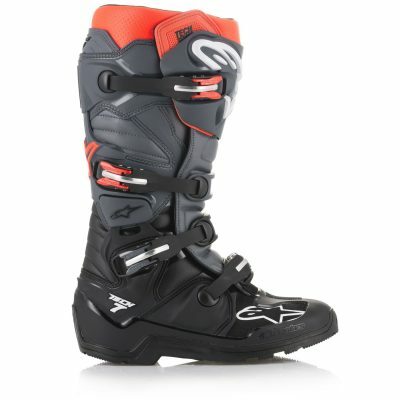 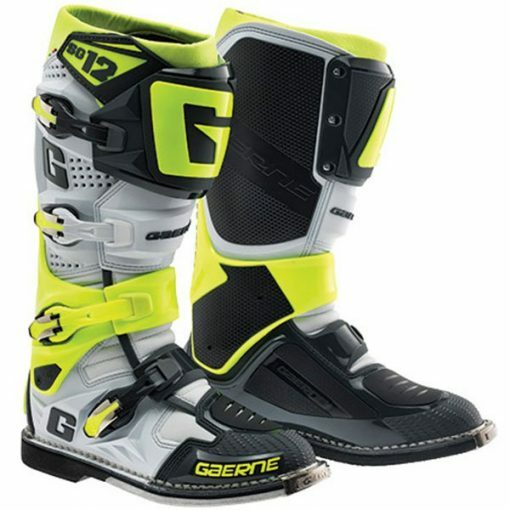 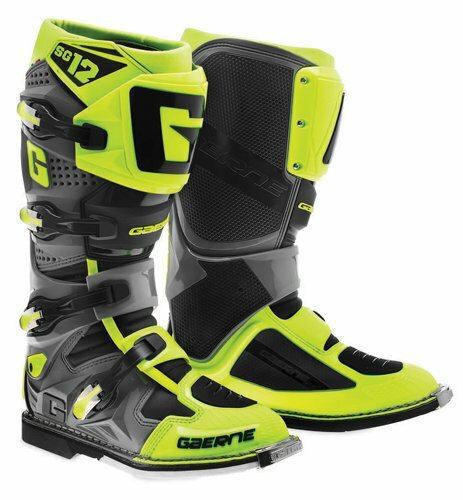 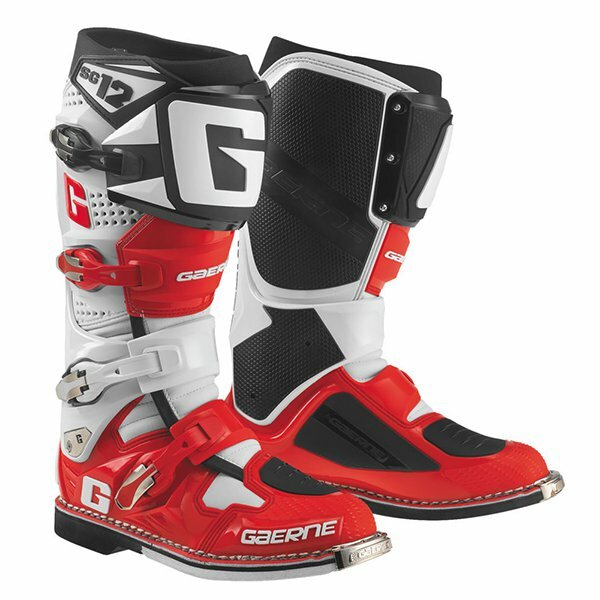 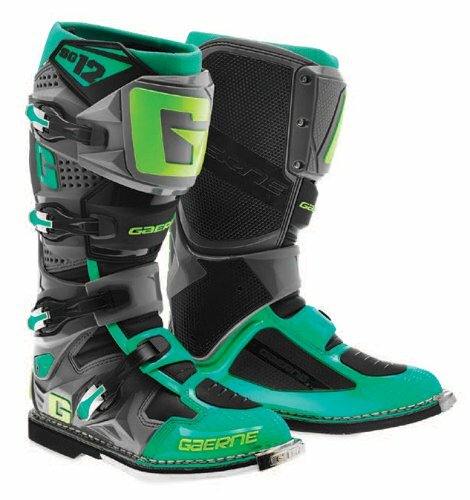 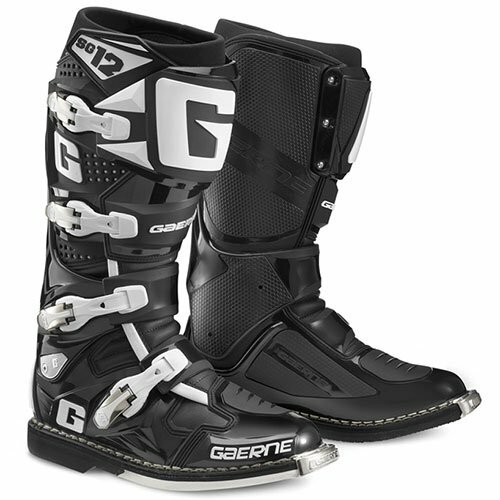 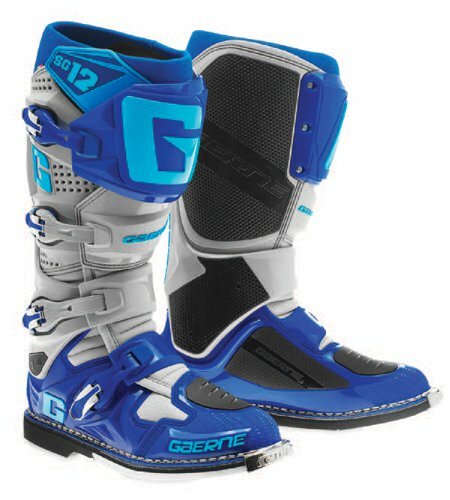 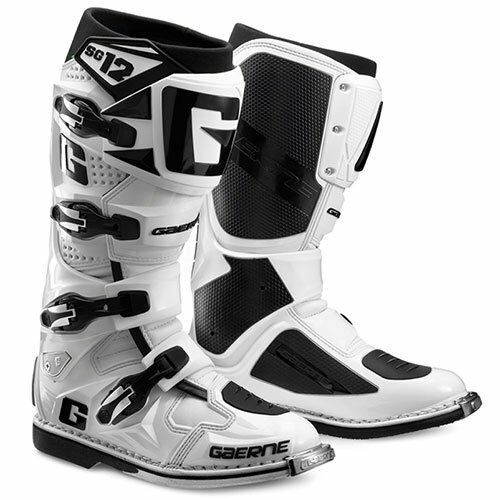 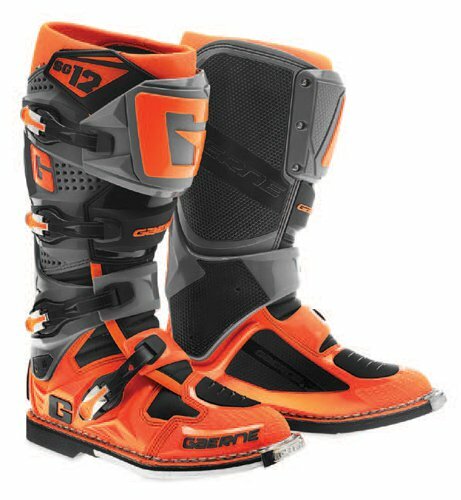 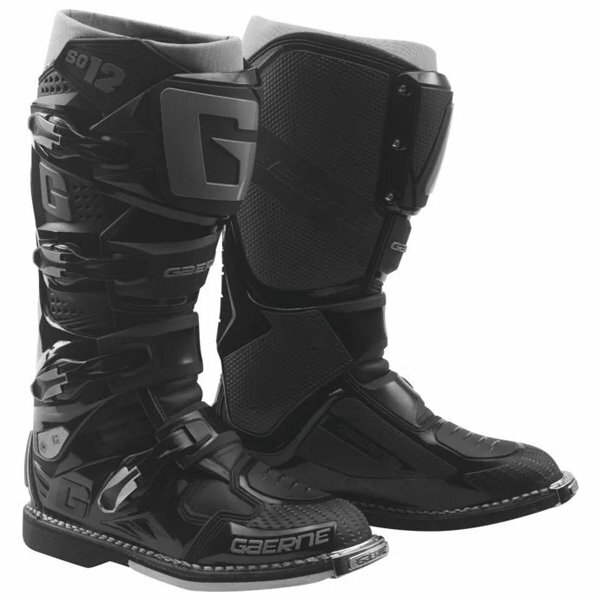 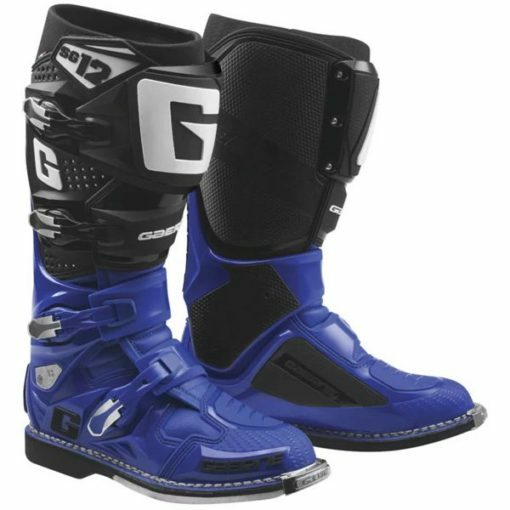 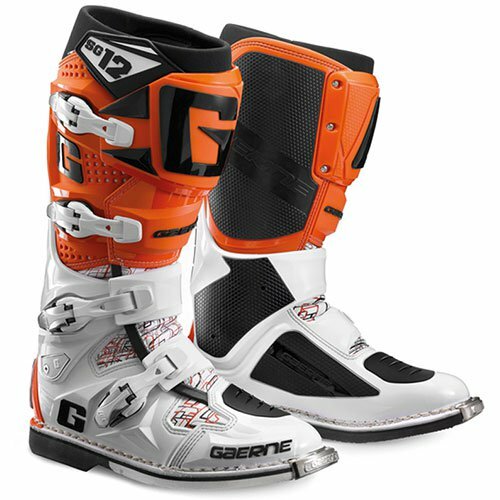 Gaerne continues to kill the game with their pro-level Motocross boot, the SG-12. 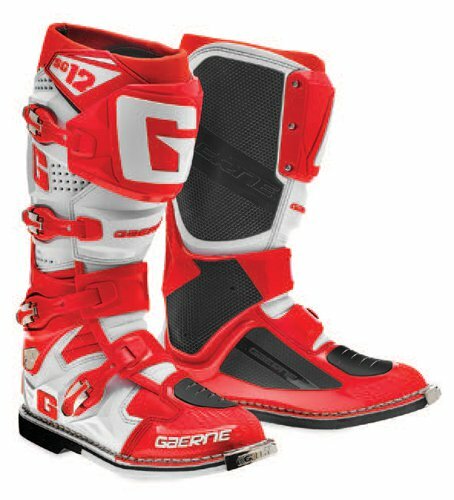 The revolutionary design of the Dual Stage Pivot System is patented and exclusive to Gaerne, assuring it to be a success. 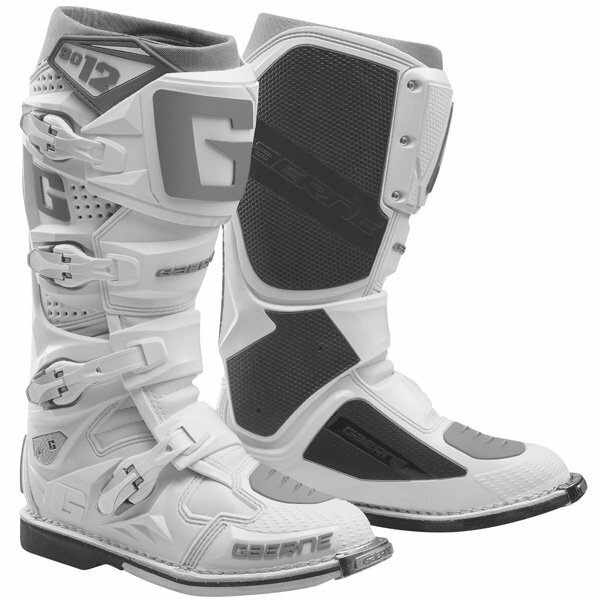 The first pivot is attached to the “razorback”, which provides a rigid component and offers strong lateral support while a glideplate keeps the upper in a firm, upright position. 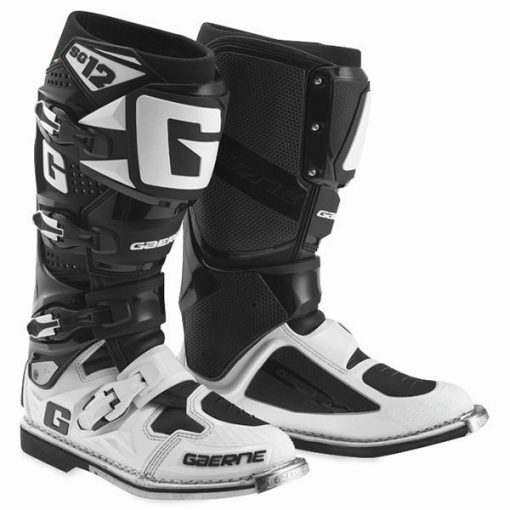 The SG-12 utilizes four lightweight alloy buckles that attach to an adjustable strap. 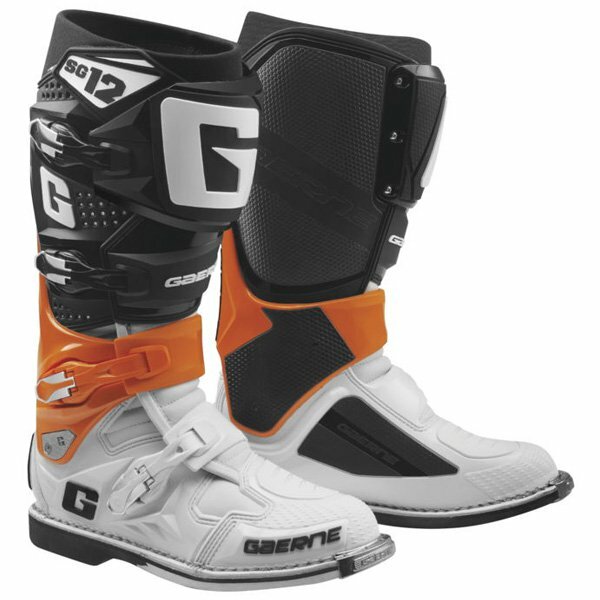 This is a “Tried and True” system that provides the rider with an “Easy in” and “Easy out” non failure system.